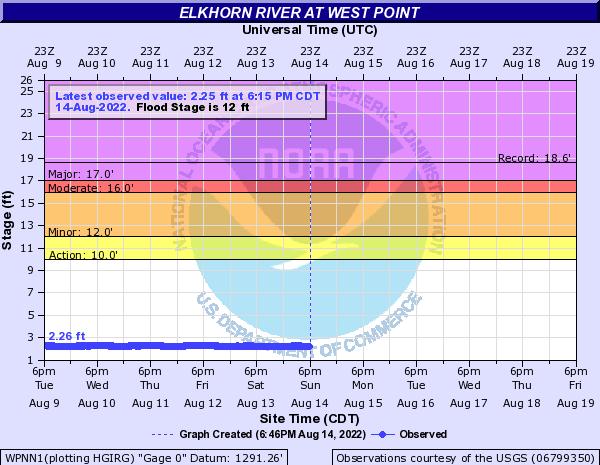 USGS Current Conditions for USGS 06799350 Elkhorn River at West Point, Nebr. USGS 06799350 Elkhorn River at West Point, Nebr. View across river to USGS gaging station: Elkhorn River at West Point, Nebr. Add up to 2 more sites and replot for "Discharge, cubic feet per second, [Discharge from primary]"